It’s not ironic that you’re most likely to notice your AC struggling on a really hot day. That’s when it’s running hardest and you need it the most. However, it’s not always the fault of the equipment. A system that is maintained poorly will likewise perform poorly, meaning it won’t keep you as cool as it could, if at all. It will also cost more to run. Keep reading to learn three ways you can diagnose common air conditioning problems that you might face, as well as a number of preventative, maintenance, and repair tips you might use on your own before you call in a technician. 1) Air Can’t Flow: If your filter is clogged, it can restrict the airflow throughout the unit, which reduces its ability to cool your effectively and hurts its efficiency. So, if you haven’t cleaned out your filter lately, do so now. Central AC units should have their filter changed monthly, particularly if you have pets or the system runs a lot. Also check for blocked or dirty registers, as they might need to be vacuumed in order to get rid of any dust buildup. Also be sure that you also don’t have any objects like furniture blocking your registers and stopping the airflow. 2) Warm Air Leaking In: Make sure that all doors and windows are closed and sealed tight. That might even mean inspecting your garage, basement, and attic. Weatherstripping might be needed in certain frames. 3) The Thermostat Is Off: Don’t let there be any electric appliances be too close to your thermostat. A TV or lamp might put more heat and energy on it than is normal for the rest of the home, making your AC run harder than it needs to. Also be sure that your thermostat isn’t getting directly hit by sunlight. Make sure that you don’t have plants crowding your compressor. You already know that airflow needs to be adequate in your home’s vents, registers, and ductwork, but this also matters outside too. An outdoor compressor that’s working for a central air system needs a minimum of several feet between itself and any structures or plants around it. That also means at least 5 feet of vertical clearance from the top of the unit before there should be any tree branches above it. Don’t skip the annual checkup. A professional technician should honestly overlook your system once a year, possibly identifying problems before they have a chance to get worse. Ideally, you’d even have two inspections a year if you have bad summers. A spring checkup can be a time for making sure the unit is ready for what’s coming, and a fall appointment can put it back together from any wearing down that happens during the hot months. In both cases, a technician can check out any moving parts and the refrigerant, recharging the system as needed. Most years, these will be the only professional appointments you ever need. Clean off your external condenser unit as regularly as you can. Debris piles up easily after a storm, and that can a be a problem in terms of anything from blocked airflow to the system running too hot. You also need to make sure you don’t personally contribute to the debris by being careful to aim lawn mower clippings away from the system. The same goes for leaf blowing; pile them up somewhere else on the yard. Provide your compressor as much shade as you can. Even though it needs clearance from structures and plants, if it’s taking in cooler air, it’s not going to work as hard to get cooler air into your home. Do what you can with your windows to help the AC out. Double-pane windows are great upgrades if you own the home, since they’ll keep the air inside cooler. You can also possibly close blinds, curtains, or draped in order to keep sunlight from heating up the air inside. Before you call in a professional technician, see if your system has just frozen up. Sometimes, there can be a freeze in or on the drain line. If that happens, just put the thermostat to fan only. The ice eventually melts. Sometimes, you’ll just have to break down and call a professional in. That might be because the situation is just past your level of skill. You also just might not want to deal with it or aren’t totally sure you know what you’re doing. In any event, tell them over the phone in as much detail what is and isn’t going on as you learned in attempting to diagnose and fix it on your own. Sometimes, they might actually be able to walk you through it over the phone. At the very least, you’ll get a more accurate price quote over the phone, although things are always subject to change once they come out and look at it with their own eyes. Contact at least three professionals or businesses so that you can get numerous quotes. That improves your odds of getting the best price. It also is a chance to go with your gut and pick out the one that you feel most comfortable with. Always do what you can to verify their credentials and background before they come out to your residence. Verify their warranties on their work. Also ask about their rates and if they vary. Some service providers do flat-rate pricing anytime of day or night, but others might have emergency, evening, and weekend premiums added to their normal prices. 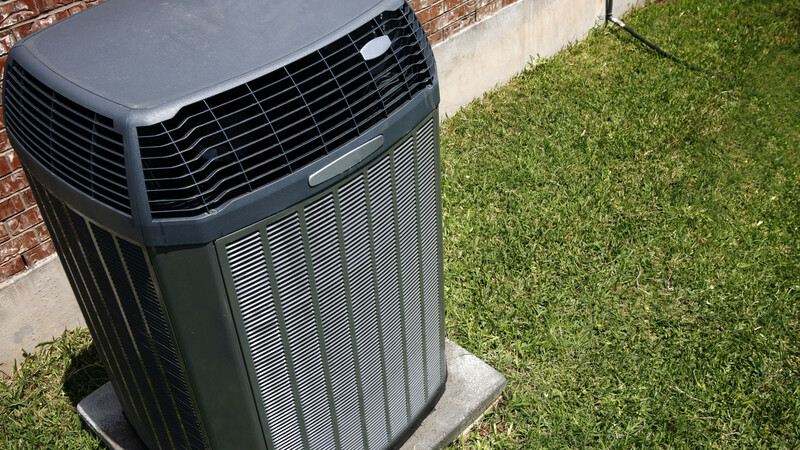 Running your AC efficiently doesn’t just help you keep cool or comfortable in your home, it also saves you money from wasting energy and burning out your system years faster than it should. When you use the 3 common diagnostic approaches listed here from Bluon for your air conditioning as well as the various other tips provided, you can save yourself money and time, and maybe even skip having a professional technician out too often.